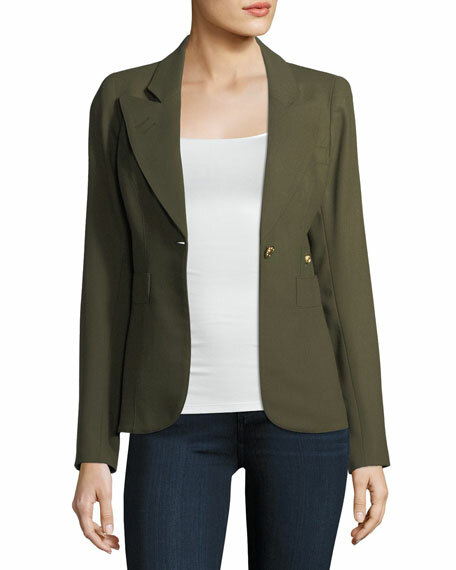 Smythe "Duchess" blazer with golden buttons. Exaggerated notched collar; one-button front. For in-store inquiries, use sku #2060463.